Microgrid Market: What Will it Take to Boost it to the Next Level? Moving the microgrid market is an ambitious goal that will require policy changes, technology advances and a customer-centric approach, say several microgrid industry leaders recently interviewed by Microgrid Knowledge. Overall, this challenging effort delivers big benefits, they say. Policy and regulatory changes would be a big boost to the industry, they say. 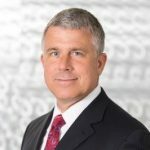 For Michael Fischette, CEO of Concord Engineering Group, that means developing codes and standards that would help microgrid developers know how to approach design. 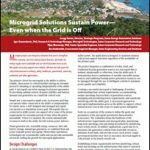 “As a collective, the microgrid community needs to focus on the…development of codes, standards, guidelines and local and federal government regulation that supports microgrids. Industries such as federal facilities, healthcare and municipalities benefit the most, and need guidelines to plan for resilience,” he says. For example, the US Army developed a guideline for loss of power on Army bases. In healthcare, he’s seeing the development of guidelines for extended patient care and comfort during outages. Such guidelines affect how microgrid developers would be required to design emergency power systems in health care. There’s an appetite for other types of policies that inform and support microgrids, as well. 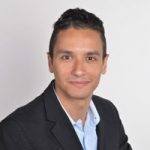 “We would like to know more about expected new policies that support microgrid projects per state,” said Andrea Ruotolo, senior manager, smart and distributed energy, Advisian. GI Energy’s Yanni notes that more and more, microgrid-friendly regulations are taking shape. What’s more, microgrid customers seem to better understand the technology and its applications, says Yanni. This understanding on the part of customers has changed how microgrid providers should approach customers, Yanni says. No longer should they tell customers what they need; they should instead listen and create a solution for the customer. “We should start by getting an idea of their needs and base our approach on what customers want and where the regulatory environment is going to make things possible. 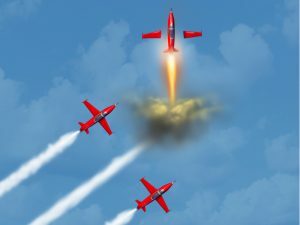 We need to forget what we’ve done and let customers lead us, instead of trying to craft a project and sell it,” he says. Yanni says that standardizing microgrids doesn’t always serve the customer-centric philosophy. “Every customer values reliability, sustainability and resiliency differently, and standardized microgrids don’t always meet their needs,” he says. Not only would customer-centric design help the market; industry leaders would like to see more cooperation from utilities. 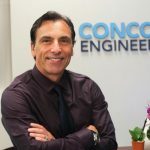 “I’d like more participation from utilities and ISOs to have friendlier programs that help offset the cost of microgrids in industrial facilities,” says Concord Engineering’s Fischette. He noted that PJM and the New York ISO provide opportunities for companies to earn money for their investments in resiliency. But more programs–especially from regulated utilities–would be helpful, he says. Industry members are also looking for information about new technologies that can help boost their markets. “We want to know what new technologies manufacturers and original equipment manufacturers (OEMs) are providing. The industry is moving very rapidly and evolving and new technologies are coming out,” says Fischette. Yanni is also looking for technology advances that help his company integrate its DC-based systems. “DC systems utilize solar more efficiently and provide maintenance cost savings. How are the equipment manufacturers taking that into account and giving us products we can integrate so I can convince customers it makes sense to invest in DC infrastructure?” he says. Matt Baker, director of microgrids and critical power for Typhoon HIL, says that a number of technical obstacles prevent microgrids from operating as designed. “If I hook up a generator set to the grid, it will align with the grid, but it might not be pretty,” says Baker. 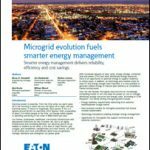 “A microgrid, on the other hand, may be based on solar, batteries and DC sources that convert to AC signals using power electronics and computerized controls. That’s a more difficult thing to do, he says. His company does not design and build microgrids, but helps developers pre-test their projects by “modeling, analyzing and iterating a number of times,” he says. “When you are doing models, you can change things and tweak things. You design, model analyze and iterate until you get it to work right, and then build it and test it,” he says. Modeling also can help microgrid developers expand their systems — by adding more PV, for example — without starting all over. Another challenge, says GI Energy’s Yanni, is the lack of a “killer app” that can integrate distributed energy resources (DER) and optimize the DER in real-time markets. Additionally, engineering tools are needed to move the market, says Advisian’s Ruotolo. “Bankable projects, least-cost and best-fit for end users must be our focus to accelerate growth of the microgrid market worldwide. 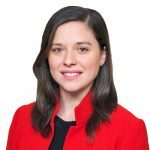 Until now, our industry has lacked the right engineering tools to effectively achieve optimal techno-economic design.” The company’s Xendee model helps solve that problem, providing a “client-centered” and technology-agnostic microgrid design, she says.